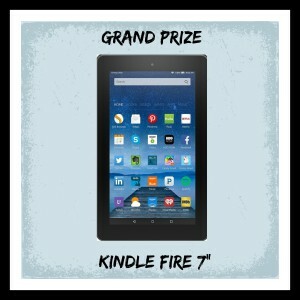 Be sure to enter today for your chance to win. Deep Shadows by Vannetta Chapman is the first book in The Remnant series. This book has so much unexpected and intense happening throughout that you will be riveted to your seat from the very beginning. This story has a wonderful cast of characters and excellent story that unfolds right before your eyes. Deep Shadows will get your heart pumping and having you trying to guess what will happen next. I am so looking forward to reading the next book in this series. This is the best book yet by Vannetta Chapman. I received a copy of this book for my honest review. Be sure to order your copy of Deep Shadows by Vannetta Chapman today. 5 stars! I would give it more if I could. 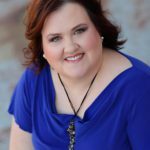 Be sure to connect with Vannetta on social media. 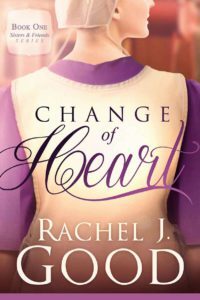 Review: If you love Amish fiction then you are going to love Change of Heart by Rachel J. Good. It is a romance that will touch your heart. This is a story that is filled with love, faith, devotion, heartache. Be sure to get your copy today. 4 stars! Be sure to order your copy of Magnolia Moonlight by Mary Ellis today! A Beauty Refined by Tracie Peterson is absolutely amazing. A Beauty Refined is book two in the Sapphire Brides series. This book is full of surprises and unexpected happenings. Tracie does such a wonderful job with the characters and the settings. She makes you feel as though you are part of this most wonderful story. You will be cheering your favorite characters on in this story while you want to slap others. This is a must read book. Be sure to get your copy today. I received a copy of this book for my honest review. 5 stars! The Courtship Basket is book two in the An Amish Heirloom series. This book was absolutely fabulous. Once I started reading this book I couldn’t put it down. The characters are so captivating that they draw you into the book. There are so many twists and turns throughout this book that there is never a dull moment. This is a book that is fill with faith, love, devotion, heartache and pain. This book will definitely take you on an emotional roller coaster ride. Be sure to grab you sweet tea and you tissues are you take your ride through this most wonderful book. I am looking forward to the next book in this series. I received a copy of this book for my honest review. 5 stars! Be sure to order your copy today! Sweet as Honey is the first book in The Honeybee Sisters series by Jennifer Beckstrand. This book is absolutely wonderful. I was hooked on it right from the start with these most delightful characters that you are sure to fall in love with. There is so much love, hate patience, faith, trust, devotion in this story. This book is sure to be a hit. I am so looking forward to reading the rest of the books in the series. Be sure to grab a glass of sweet tea as you kickback and enjoy this most wonderful book. I received a copy of this book for my honest review. 5 stars. 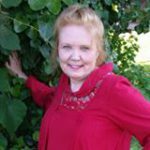 The Four must read Books by Amy Clipston for you to read this summer. If you love books that are full of love, faith, heartache, pain and devotion than these books are for you. Amy Clipston has a wonderful way of drawing her readers into the story and making you feel as though you are part of the book. So go to your nearest bookstore or library and get your copy of one of Amy’s most wonderful books today. 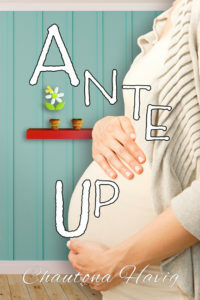 Ante Up! is the fourth book in the Aggie Series. Don’t forget—for those who purchase before July 7, 2016, we’re giving away a FREE bonus devotional,Tune My Heart: 25 Hymn-Filled Moments with the Lord. Each chapter corresponds to the book and examines some of the themes of the book, so you don’t want to read it before you’ve read the book! To get your free copy, just forward your Amazon receipt to THIS EMAIL.